If there’s one thing I love more than risotto, it’s seafood! I absolutely love any kind of seafood from prawns to scallops and octopus – you name it and I will happily scoop it up off the plate and eat it! So when I passed the fish counter in Asda, I couldn’t help but shimmy back and grab a pack of seafood mix. 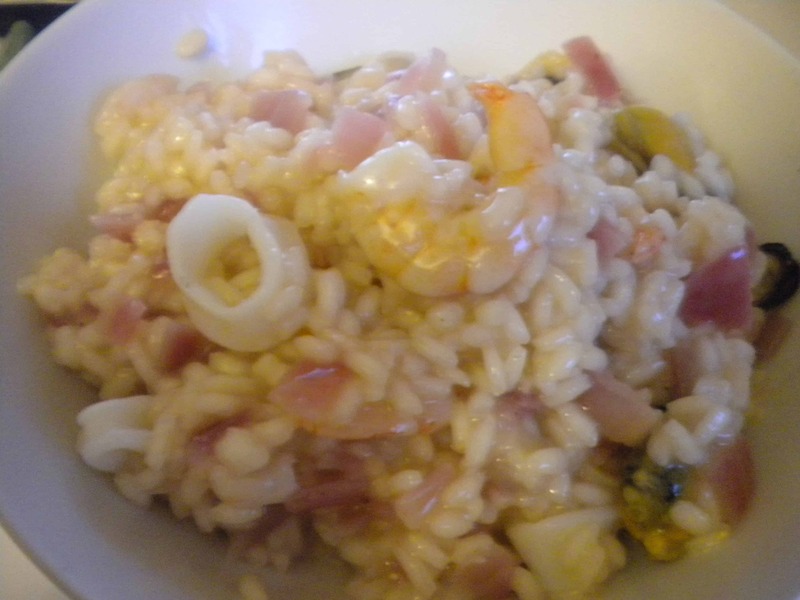 I decided to combine my two passions – seafood and risotto, to make this yummy dish! Perfect with a wedge of lemon! Add the stock and leave to simmer until all the liquid is absorbed. Add the seafood, and stir through until piping hot. Serve with a wedge of lemon to squeeze over the top for that mediterraenan feel! Next Post Chipolatas and Chips!